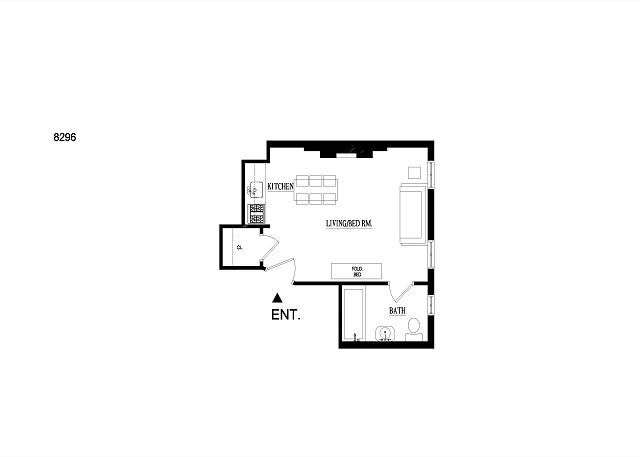 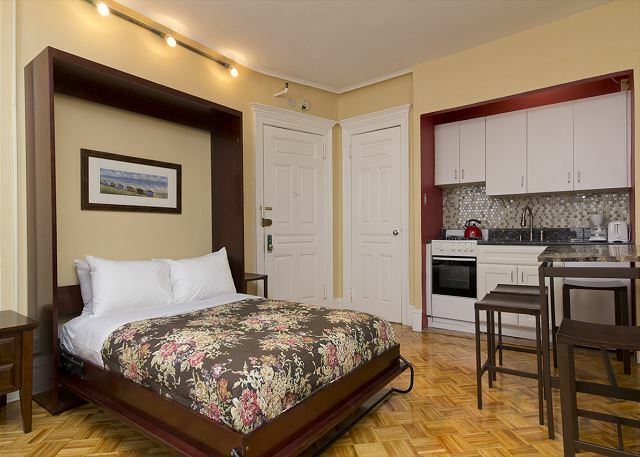 This beautiful Upper East Side suite is a great space to spend your visit to the Big Apple. 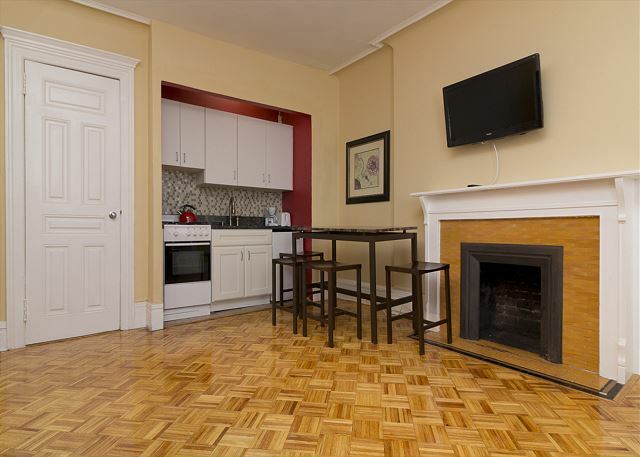 The apartment features parquet wood floors and a faux fireplace. 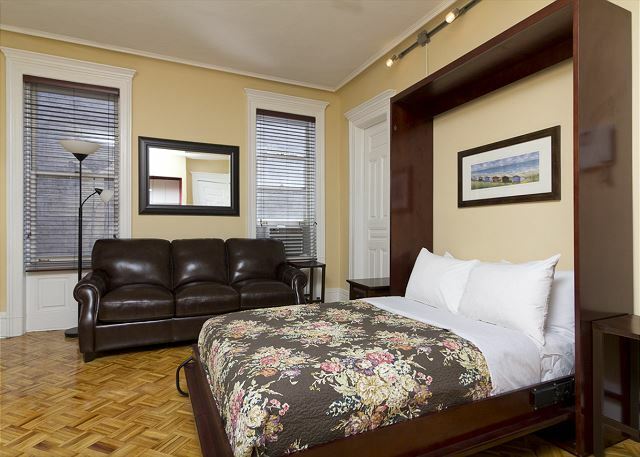 The suite features a high quality leather sofa that comes equipped with a queen size pull out bed for additional sleeping accommodations. 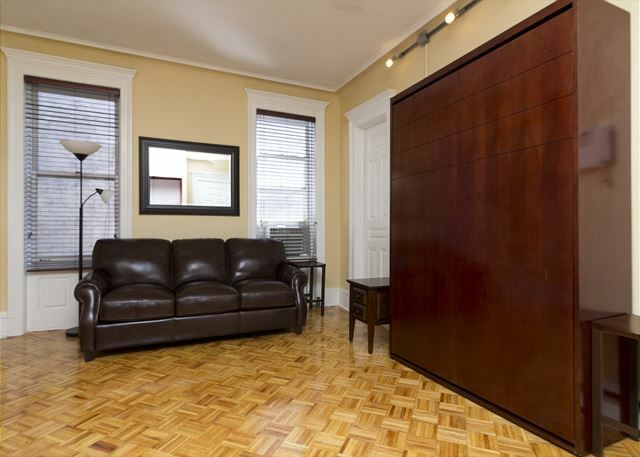 There is a queen size murphy bed that can be pulled down and up at your convenience. 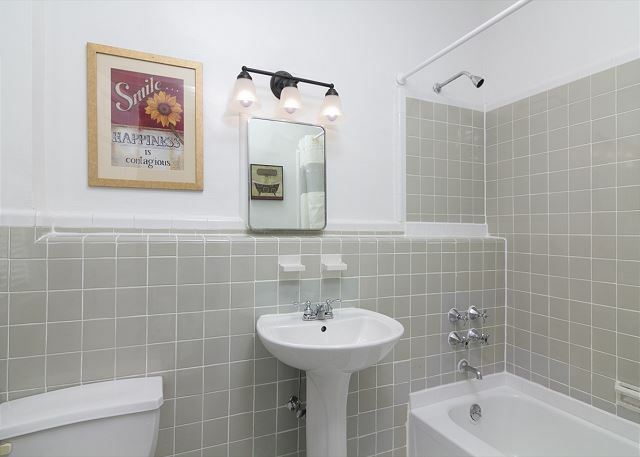 The bathroom is lined with gray and white tiling and features holly wood style lighting above the vanity. 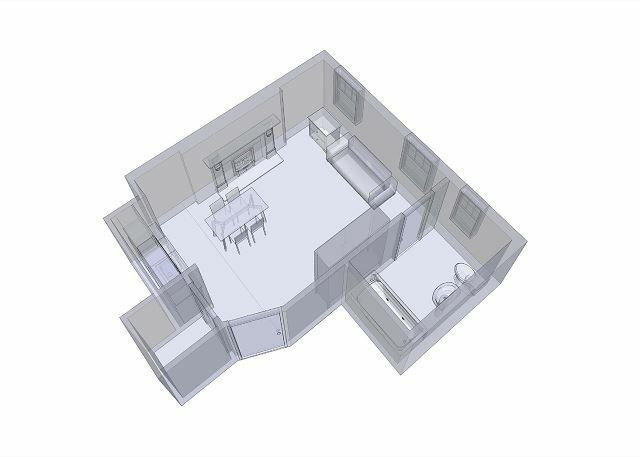 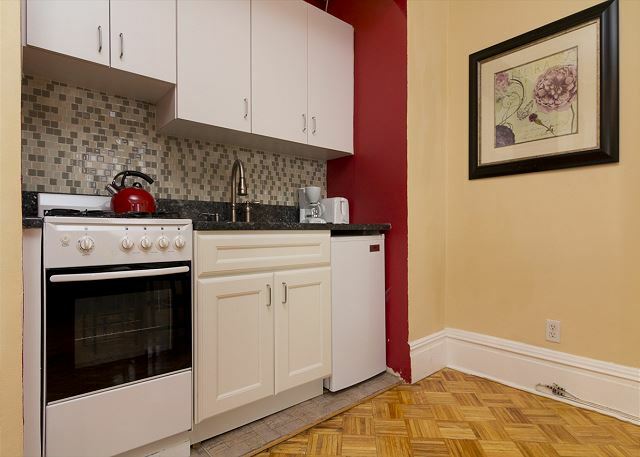 The kitchen comes fully equipped with appliances and utensils for all your cooking and dining needs. 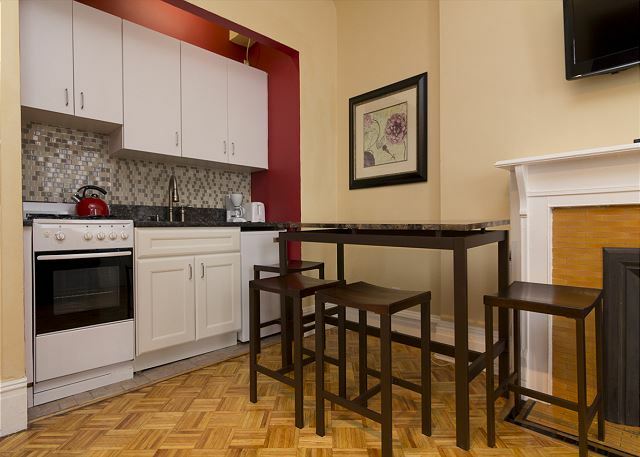 There is a marble topped table with seating for up to 2 people. 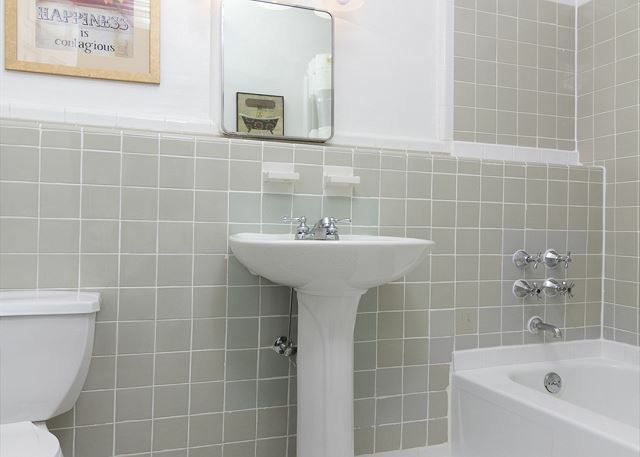 The bathroom comes with provided towels and the beds with all necessary linens. 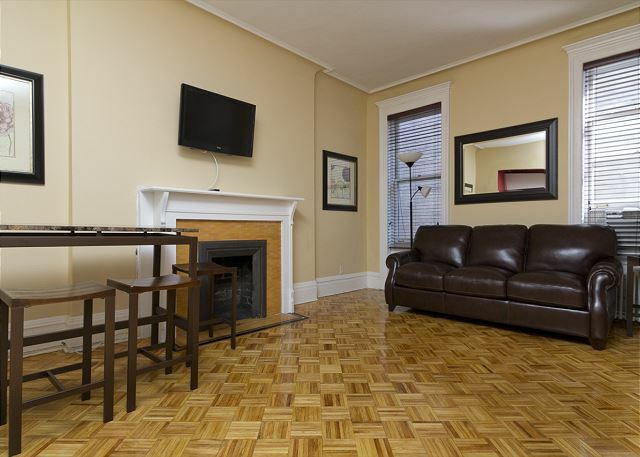 This apartment is located in a great area, and is a great choice for your stay in New York City.